Albio Solar 200 is a complete system used for external solar shading of buildings, utilizing fixed aluminium louvers. The system includes a range of louver profiles, as well as profiles used for setting the louvers in position on the external side of the glass surface. Special accessories guarantee precision and ease of construction. 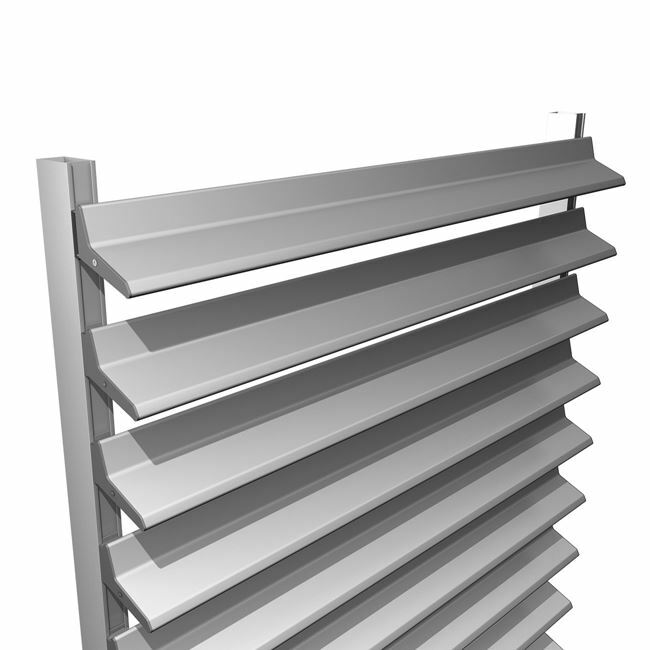 For external shading with fixed louvers, in horizontal or cantilevered arrangement, Solar 200 can fully cover a range of applications on this typology of solar louvers.